Vegetable Oils Refining is necessary for vegetable oils & fats or animal oils & fats so they can be used for cooking and frying foods. Chemically speaking, oils are Tri-Glycerides or “Fatty-Acid Glycerin Esters” (FAGE). One Glycerin molecule combines with three Fatty-Acid molecules to form one FAGE. Oils are a blend of different types of FAGEs. The Oils can be differentiated on the basis of the length of carbon chain in the Fatty Acids and the number and location of double bonds in the carbon chains of the Fatty Acids. Greater the number of double bonds between two carbon atoms, the greater is the extent of “unsaturated” fatty-acids in the fatty-acid profile of the oils. “Unsaturated” oils and fats are considered more desirable than “saturated” oils and fats from health point of view. What are Animal Oils and Fats? Animal Oils are obtained from a variety of animals. Most common types of oils and fats include Chicken-Fat (Chicken), Fish-Oil (Fish), Lard (Pigs), and Tallow (Cows). Each one of these oils and fats comes in edible and non-edible categories and multiple grades within each category. Why is Vegetable Oil Refined? Refined Vegetable Oil is commonly called Refined, Bleached, and Deodorized (RBD) oil. As described earlier, these are the three main steps in the refining process; although additional steps are required in most cases. In Chemical Refining, Vegetable Oil is treated with caustic lye for separation of free fatty acids from oil. This is a conventional process that can be applied to all oils. A byproduct of alkali refining is soap-stock, which is used for manufacture of low quality washing soap. Alternately, the soap-stock can be treated with acid to recover fatty acids. The waste-water from refinery requires extensive treatment. This can be avoided by alternate Physical Refining process. a. Water Degumming: Hydratable gums are removed by treating oils with water and separating the guSkype： taishan0072 The gums can be dried to produce lecithin. The purpose of Winterization Vegetable Oils is to remove waxes especially in those oils that contain waxes. Such oils are subjected to chilling and filtration to remove waxes and other high melting point substances. Vegetable Oils have varying degrees of saturation levels. Some food products can only be prepared in saturated oils & fats. 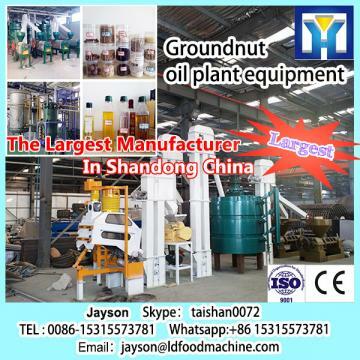 Hence, some food companies hydrogenate vegetable oils to produce desired level of saturation in the Oils & Fats. Vegetable oils can be hydrogenated under high temperature and pressure in the presence of a catalyst. The bakery industry uses hydrogenated oil (i.e., shortening). However, the shortening for bakery application should be of smooth texture. Granular texture, while desired in vanaspati ghee, leads to bSkype： taishan0072ding of fat in bakery products. 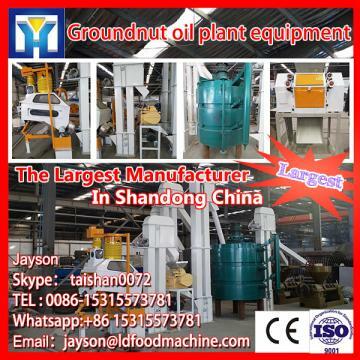 Hence, hydrogenated oil is cooled under controlled conditions to get a product with smooth plastic texture suitable for the bakery industry. Technochem manufactures scraped-surface heat-exchanger to produce bakery fat. The caustic neutralization process described above produces Soap Stock—a mixture of Soaps (Fatty-Acid Salts), Oil, and Water. Soap Stock, by itself, is a low value by-product—usually a waste product. However, it contains considerable amount of Fatty Matter, which may be profitably recovered for sale as a higher-value product. This is accomplished by converting Soaps into Fatty Acids by reacting with an Acid. The resulting product is a mixture of Fatty Acids and Oil (commonly called Acid Oil). The physical refining process described above produces Fatty Acid Distillate—a mixture of Fatty Acids and Oil. The value of the Distillate may be enhanced by converting Fatty Acids into Oils through Glycerolysis. This is accomplished by reacting Fatty Acids with Glycerin to produce Oil. The resulting product is dried to recover oil for sale as a higher-value product.